No Washington DC neighborhood is immune from the Corepower Yoga invasion and Penn Quarter/downtown DC is no exception. 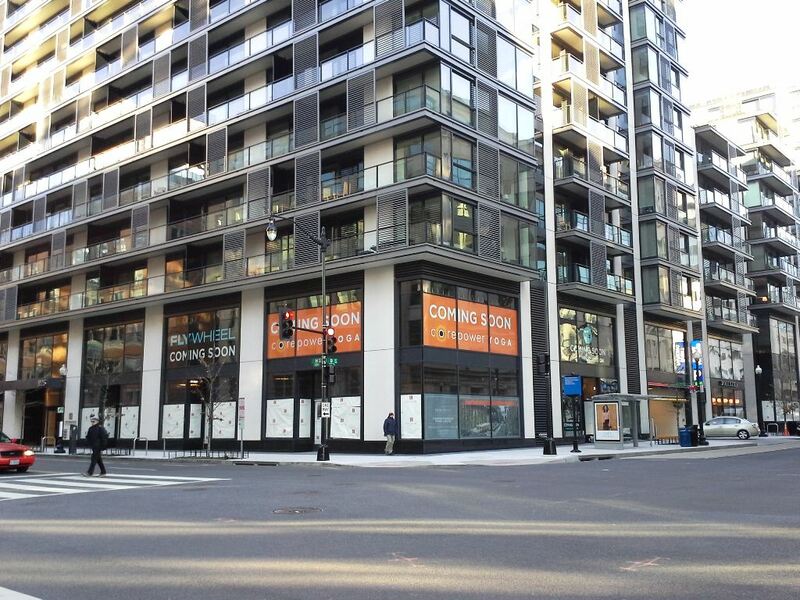 Both Corepower Yoga (a nationwide yoga studio) and Flywheel (a spinning and barre studio) will be coming to the CityCenter development at the corner of 9th and H St NW per the recently posted banner signs. We’ll keep you posted as affairs develop. FIOS Is Coming To DC…Will It Come Downtown?